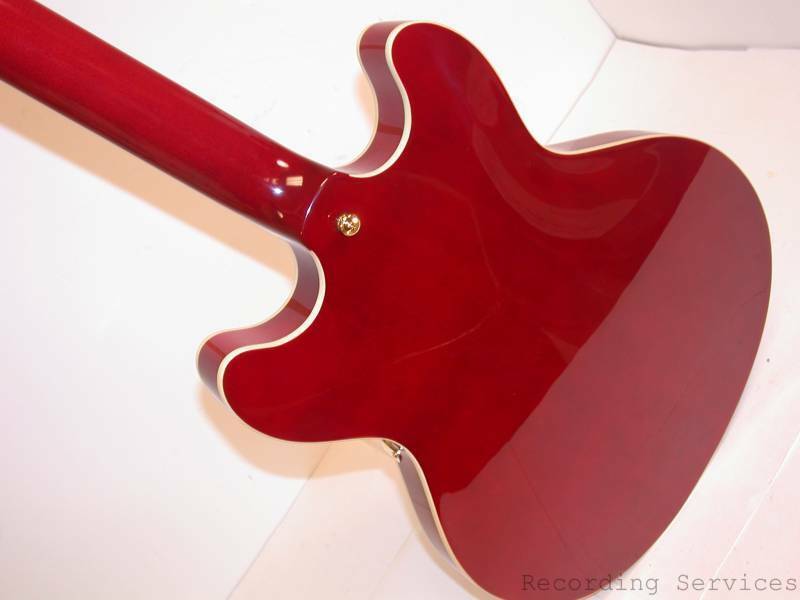 Hollowbody guitars are typically lighter and more resonant than their solid body counter parts. 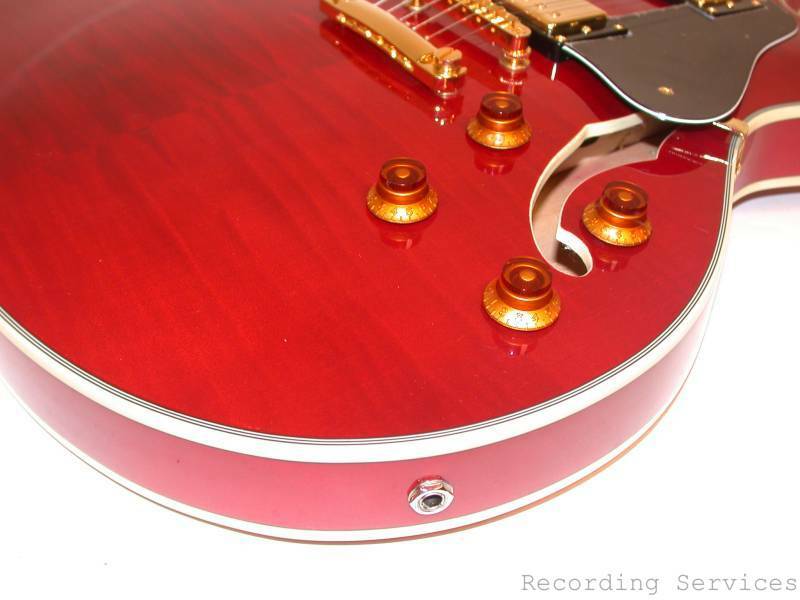 This gives a somewhat mellower tone to the guitar making it well suited to Jazz, Blues or Rock. The HB35WRK features a double cutaway and includes a solid maple block in the center, increasing sustain and reducing susceptibility to feedback in high volume situations. Deluxe features include flame maple top, gold hardware, split block inlays and Grover 18:1 tuners.